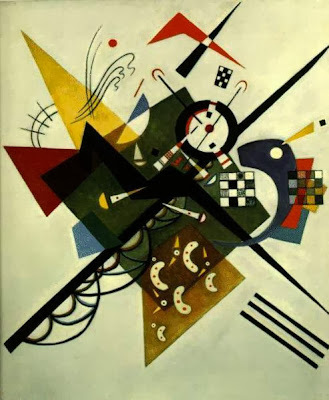 When I think of Kandinsky, this work, Squares with Concentric Circles, 1913, is what comes to my mind. It is one of my favorites. "I applied streaks and blobs of colours onto the canvas with a palette knife and I made them sing with all the intensity I could...."
Russian painter and art theorist. 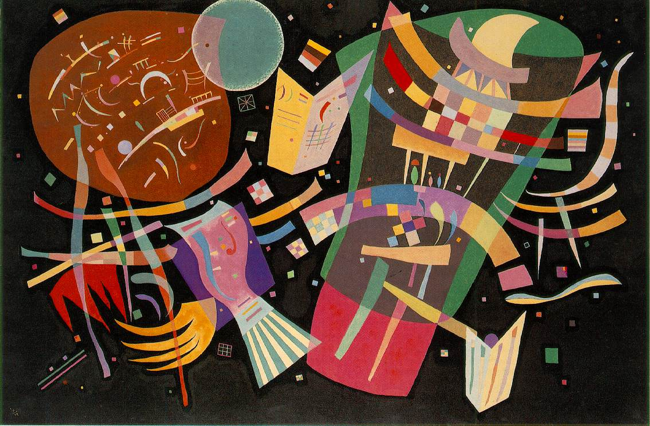 Kandinsky is credited with painting the first purely abstract works. 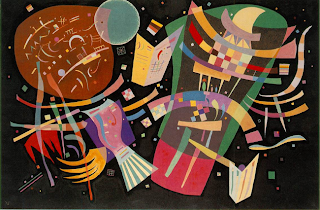 In addition to painting, Kandinsky was an art theorist; his influence on the history of Western art stems perhaps more from his theoretical works than from his paintings." I didn't know Kandinsky was the first abstract artists. 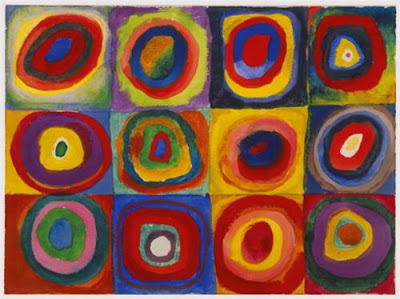 In the Squares and Concentric circles the colours do appear to vibrate with song! Some of the pictures look so discordant, but amazingly lovely. His work does sing! Thanks!